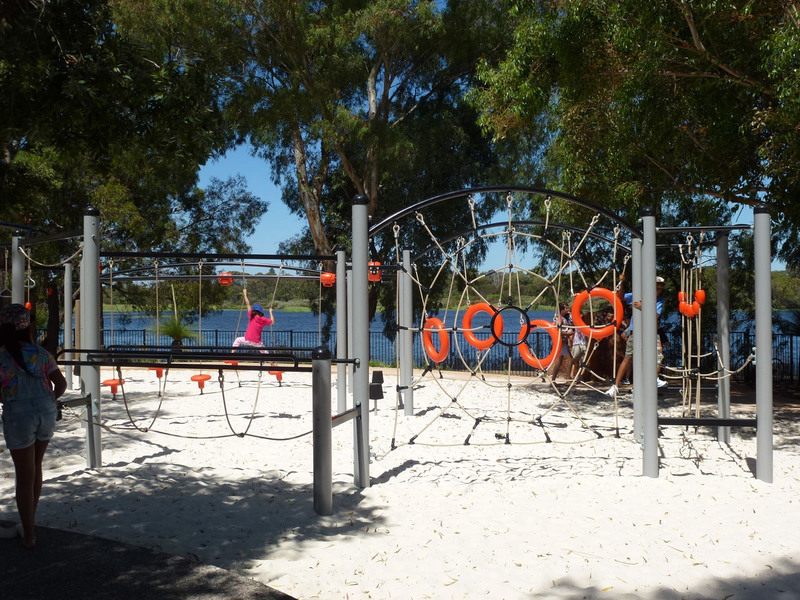 Rich in natural beauty, the Bibra Lake in the city of Cockburn is of cultural significance to local Aboriginals and a favourite retreat and walking spot for the community. 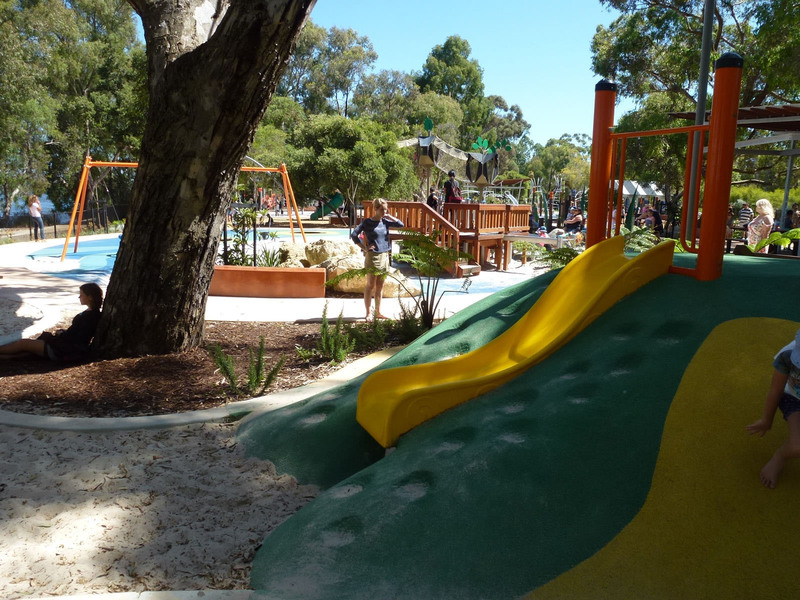 Home to the unique long neck turtle, the lake and its surrounding bushland areas is a beautiful example of Australia’s flora and fauna. 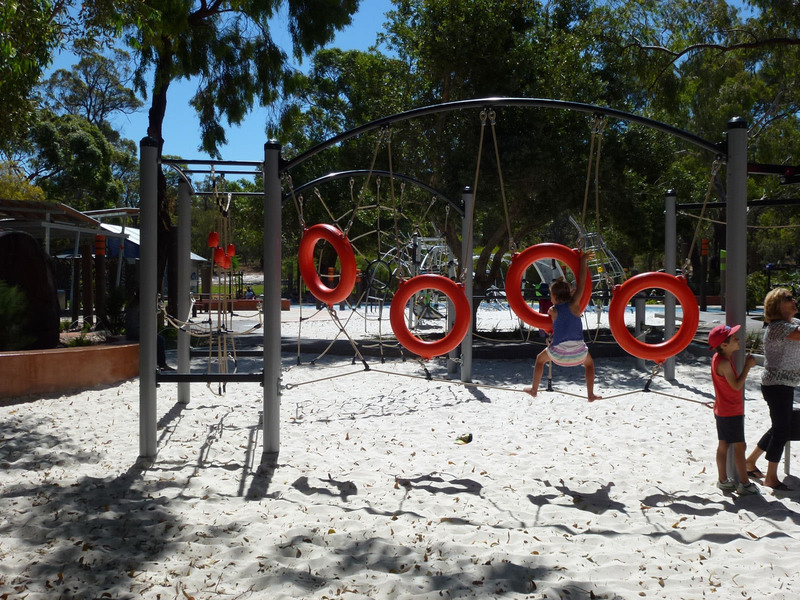 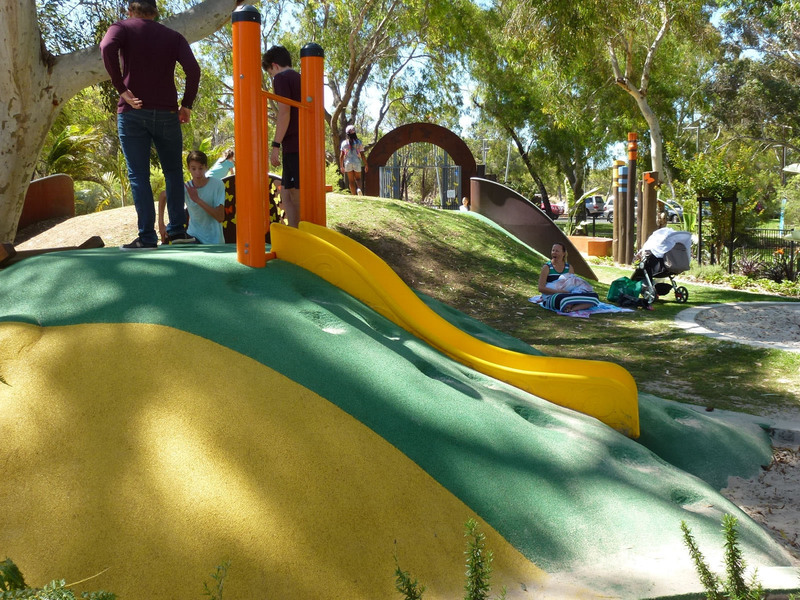 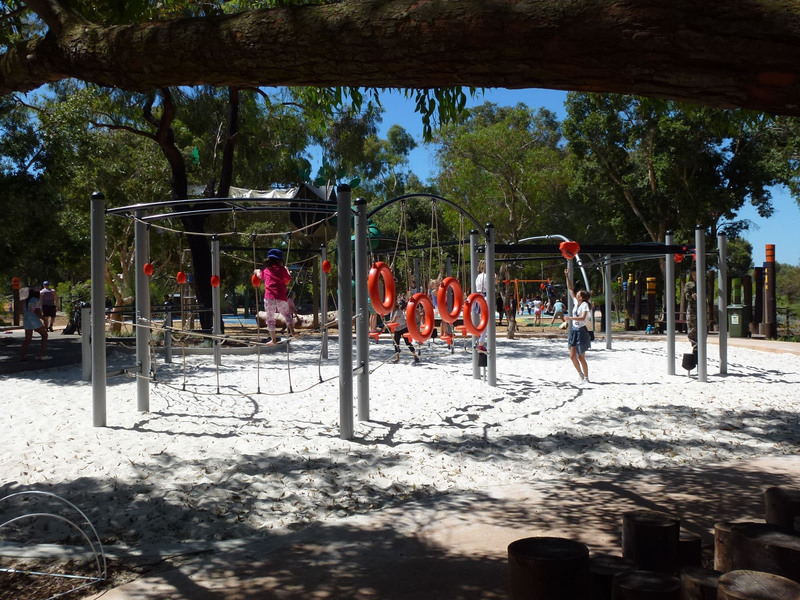 The Council had a vision to create a destination playground, with the theme of ‘nature play’ – providing new adventures around every corner for family fun. 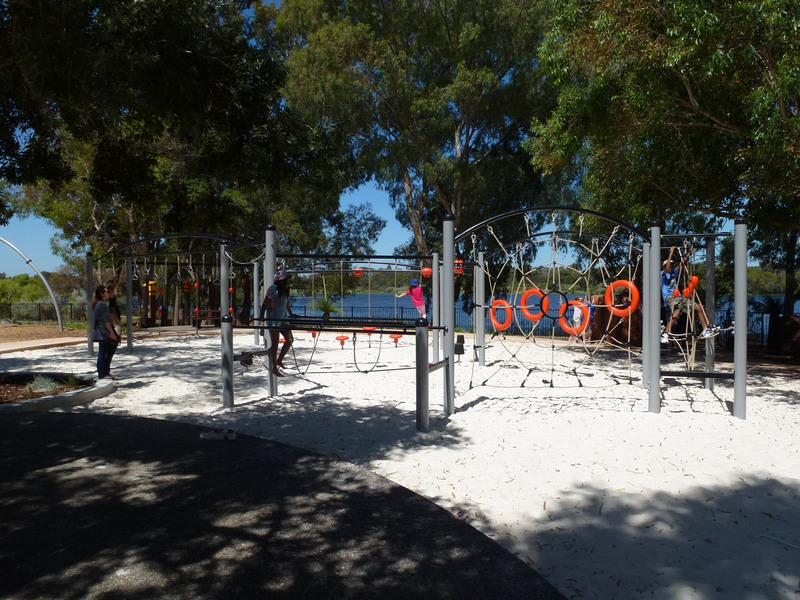 The challenge was to build the playground within a tight budget and in a fairly narrow strip of land between a road and a lake. 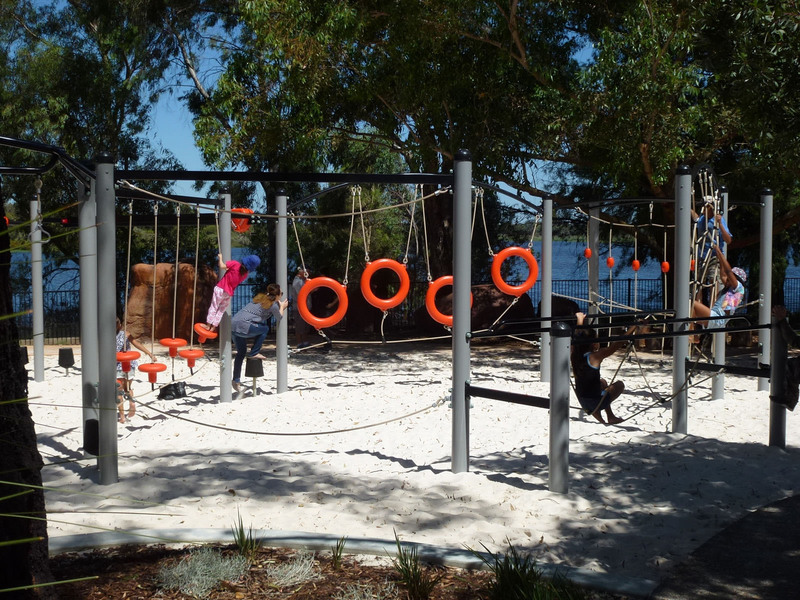 The project included civil works and car parking spaces and involved a wide range of project partners and suppliers. 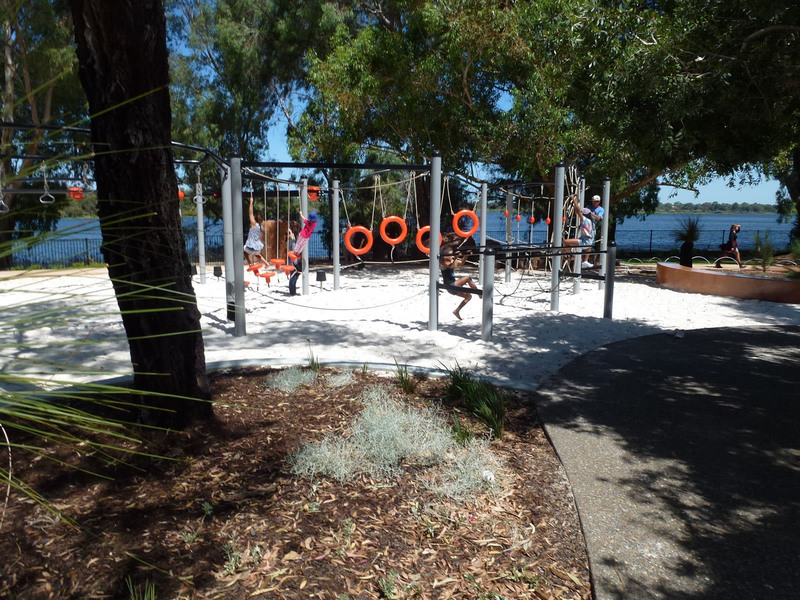 With limitations on space, we worked closely with the Council to custom design a fitness course to fit the area. 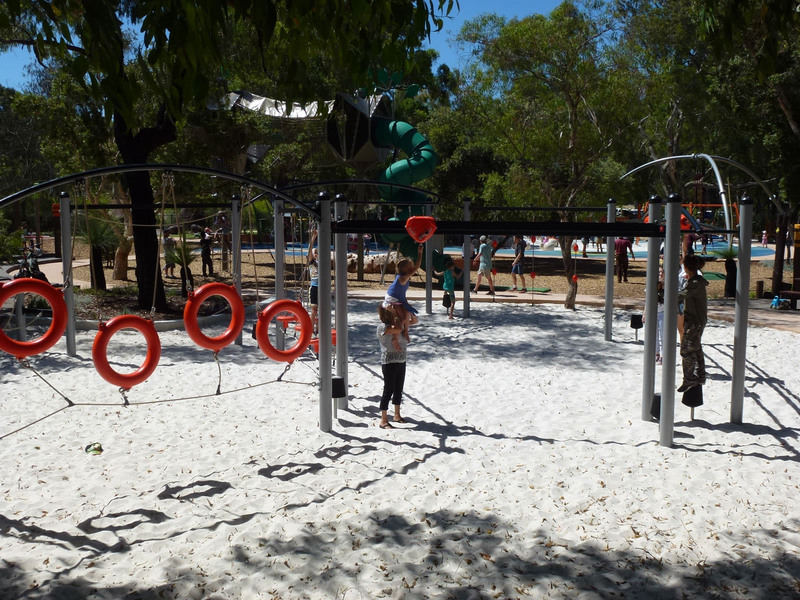 Priority was on maximising space and play value – and offering a fun, full body workout. 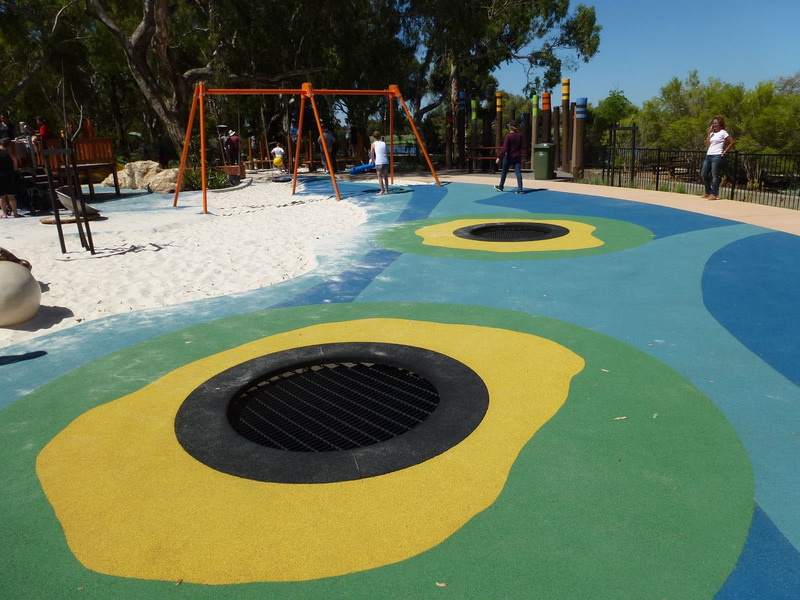 Colours were chosen to blend in with the natural surroundings and attract users. 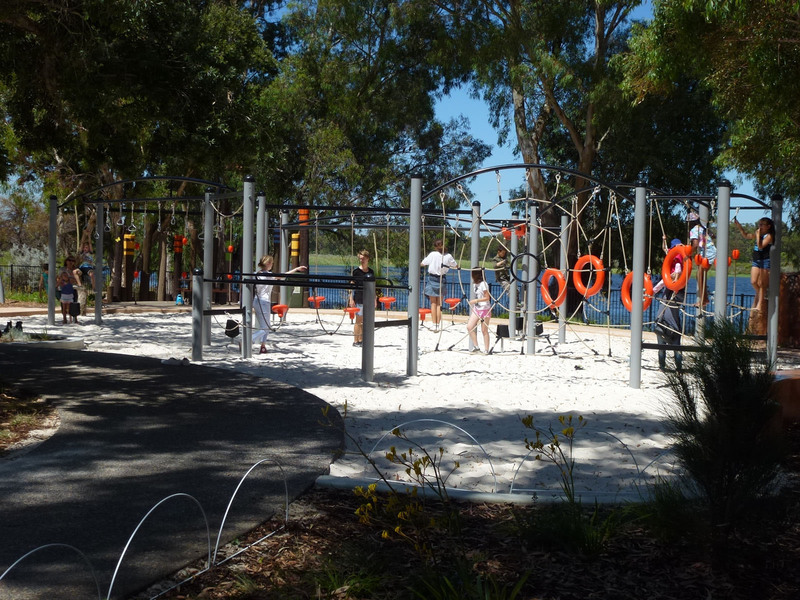 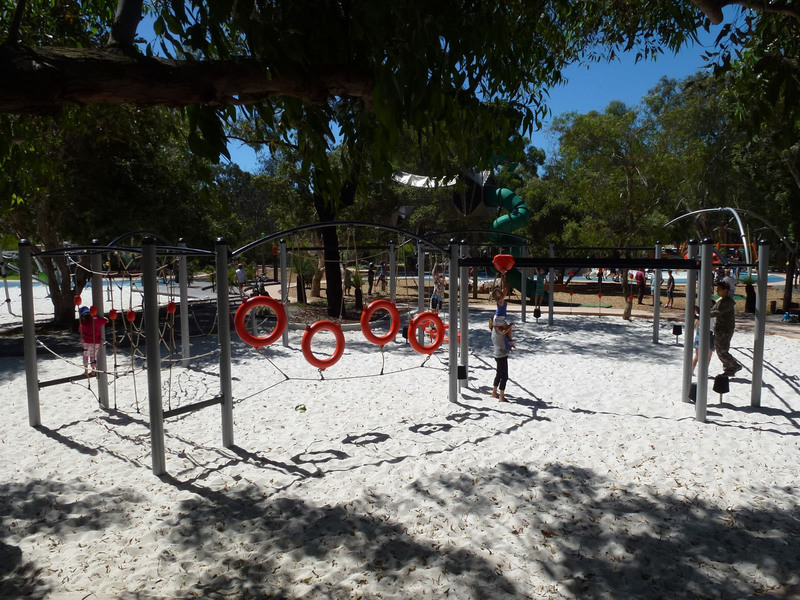 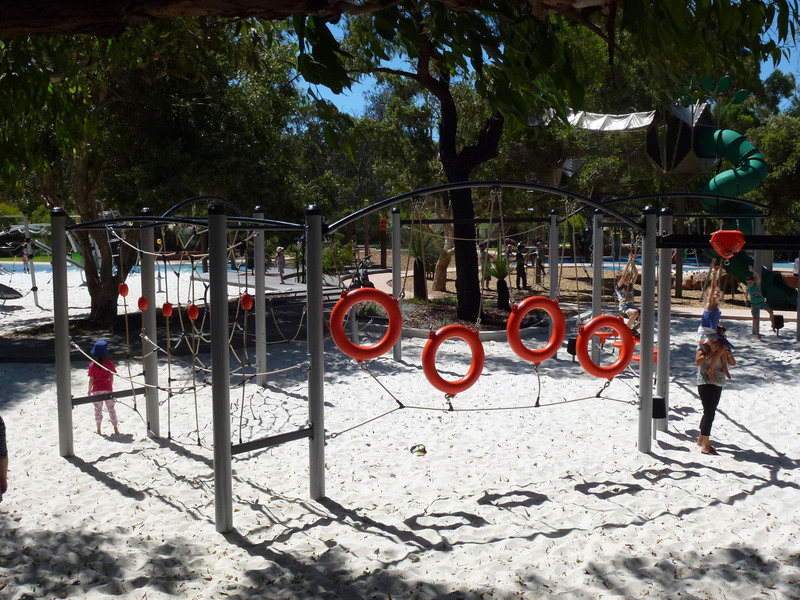 The fitness course was placed on the lake side of the playspace and is surrounded on two sides by artificial rocks and clever plantings that helped set the scene for adventure. 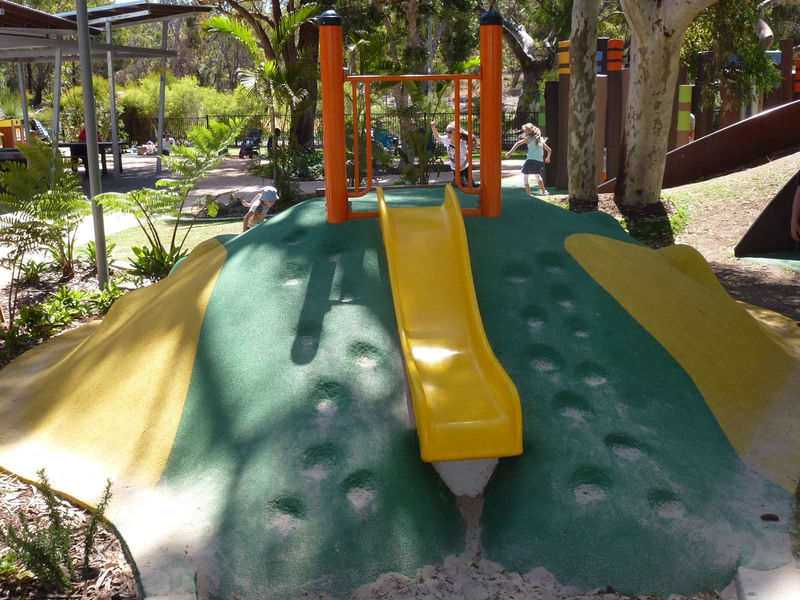 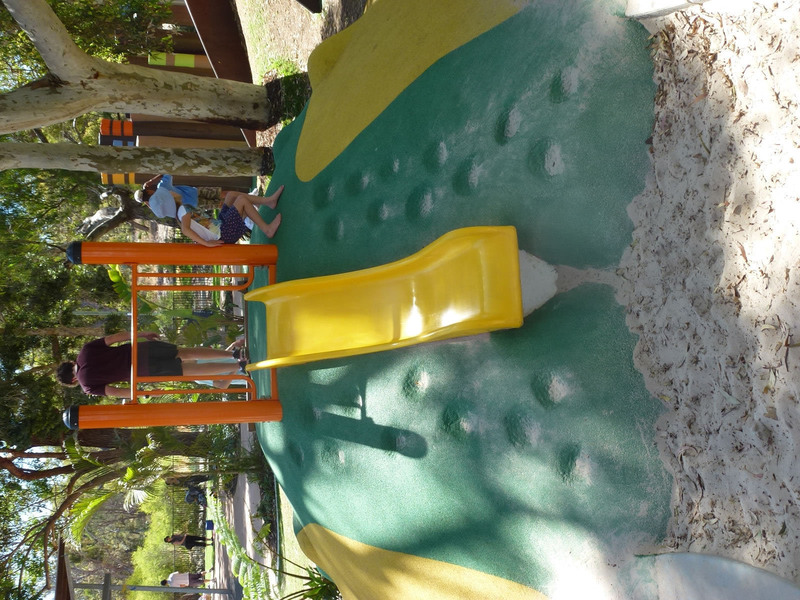 The slide was positioned on an artifical mound, with a timber set of steps. 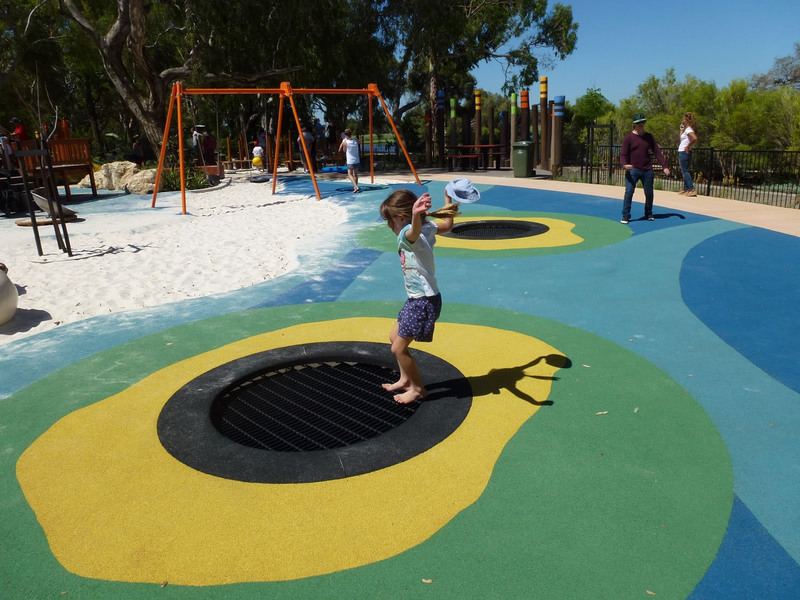 The mound created a screen to a sand pit featuring a giant turtle sculpture – adding to the joy of discovery. 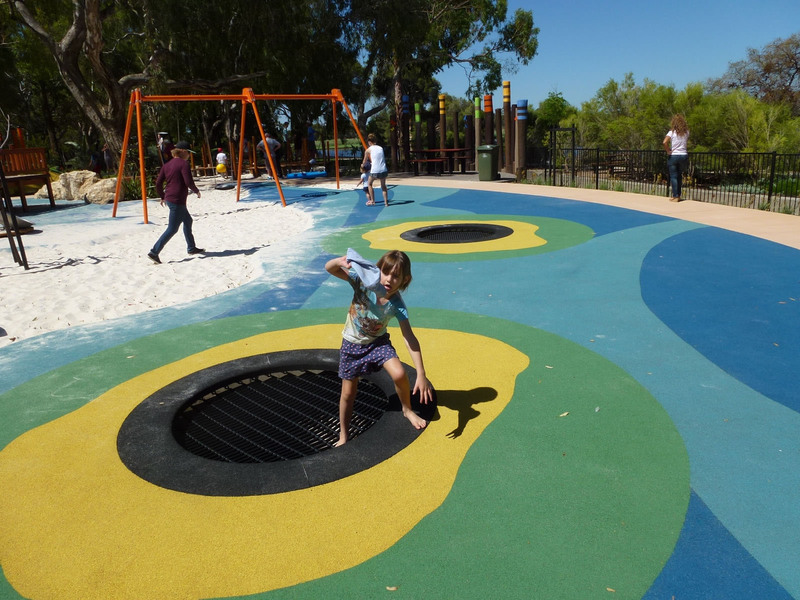 Our in-ground trampolines added a fun opportunity to bounce and be used in imaginative games. 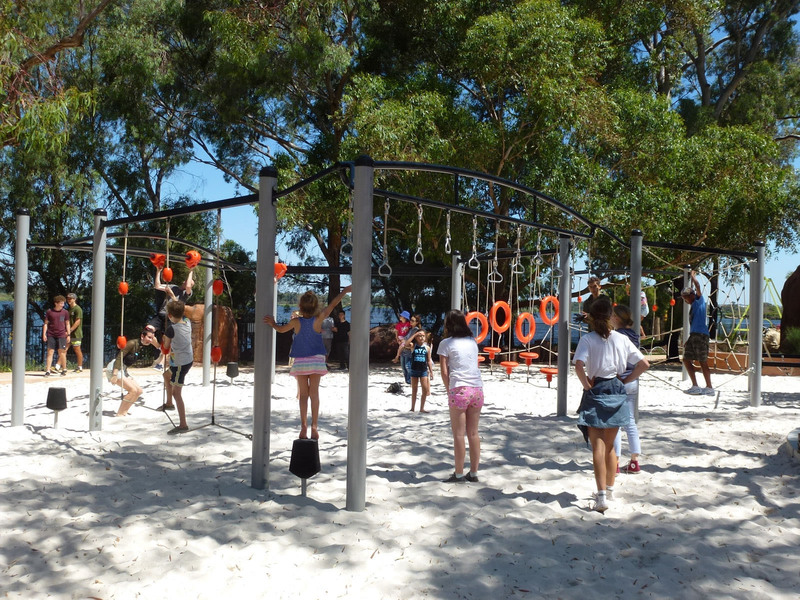 See videos of the project’s progress on the Cockburn Council’s website.